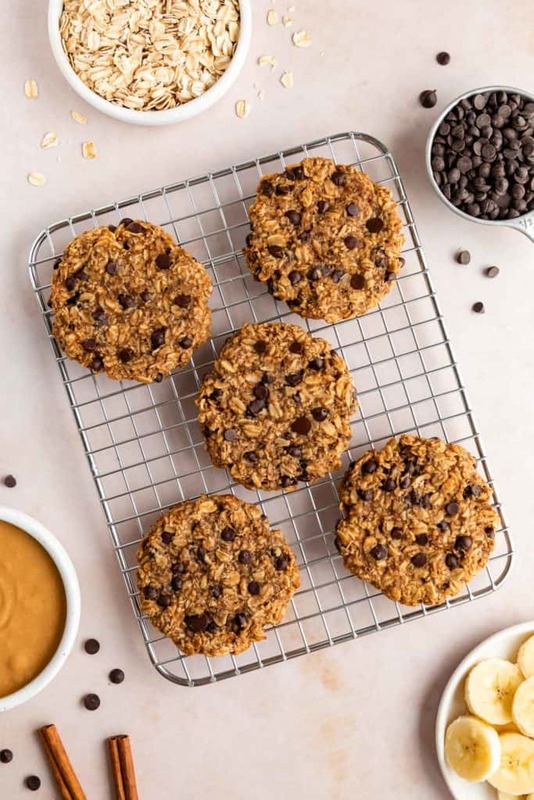 These peanut butter banana oatmeal cookies are chewy, soft, and SO delicious! The recipe requires just 3 gluten-free ingredients and one bowl. Have you ever been in the mood to bake cookies but decided not to because of the mess you’d have to clean up afterwards? Yeah, I’ve been there… but hold off on ordering a Postmates delivery instead. I promise, you don’t have to worry about making a mess when it comes to this cookie recipe. 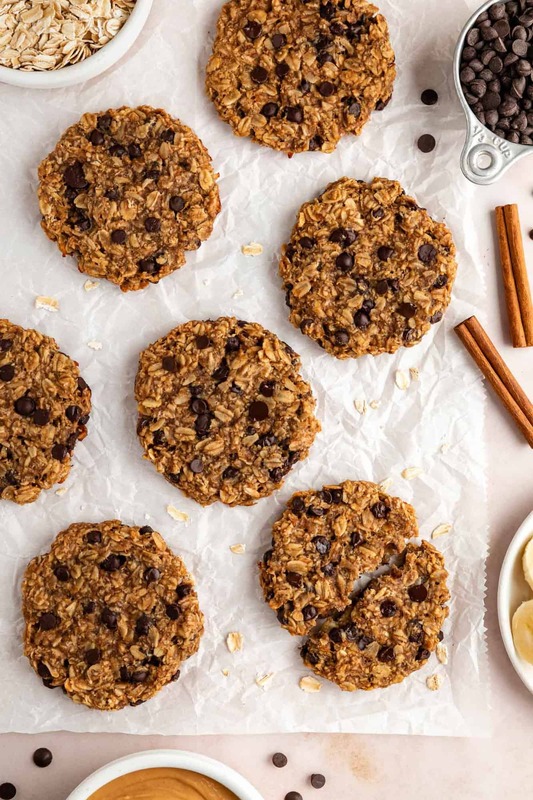 The great thing about these peanut butter banana oatmeal cookies is that your kitchen stays clean in the process. That’s right, you can make them with just one bowl! I’m talking about an easy preparation and an even easier clean-up. Simply mash the bananas, toss in the rest of the ingredients, and stir everything together. Voila! The cookies are now ready to be baked. It’s not often that a cookie recipe is more effortless than that. 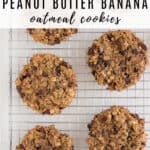 Realistically, this recipe only require three ingredients: rolled oats, mashed bananas, and creamy peanut butter. Mix them together and you’ll have the easiest, gluten-free cookies. 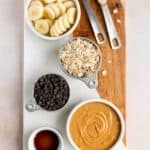 The rolled oats are rich in fiber, the bananas provide a variety of vitamins and minerals, and the peanut butter gives a boost of healthy fats and protein. These whole-food ingredients make this recipe nutritious enough for breakfast! And who doesn’t like the sound of cookies for breakfast? Although they are not required, I recommend adding in the cinnamon, vanilla, and salt for additional flavor. If you’re a chocoholic, like me, you should toss in the mini chocolate chips, too! Instead of peanut butter, you can use any nut butter of your choosing. Almond butter and sunflower butter will taste equally delicious. Not a fan of banana? Try using mashed pumpkin instead! For an even healthier recipe, omit the chocolate chips and add raisins, cranberries or dried blueberries instead. Want an extra boost of nutrients? Add your favorite nuts or seeds to the recipe. Some great options are chia seeds, hemp seeds, and chopped walnuts. 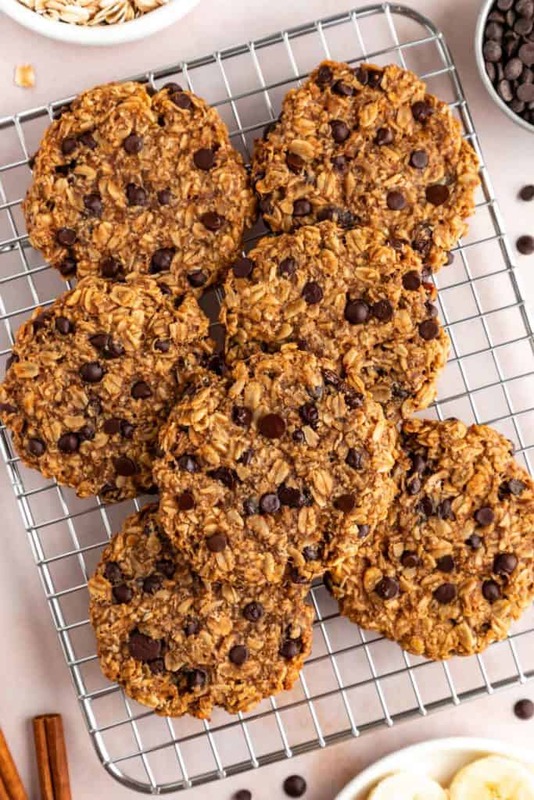 For gluten-free cookies, double check the label on your rolled oats to make sure they do not contain gluten. 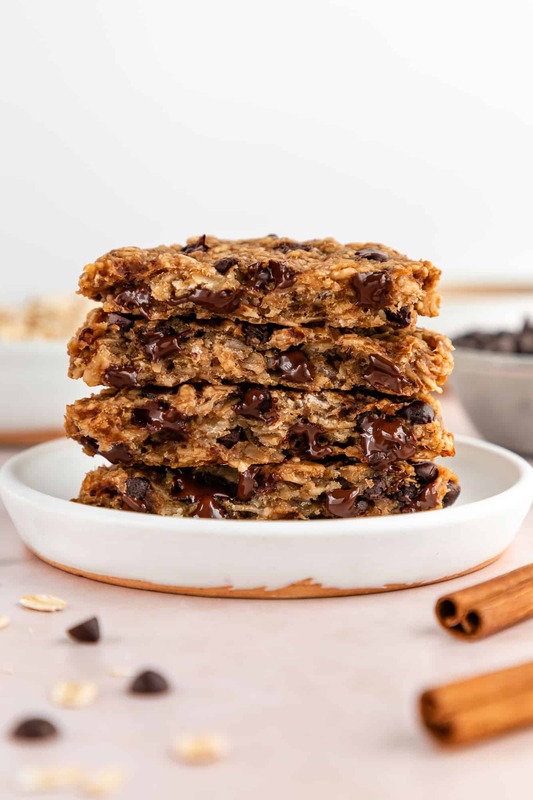 If you like this peanut butter banana oatmeal cookie recipe, you may also enjoy my homemade peanut butter cups for more peanut butter, chocolatey goodness!